Every now and then I get introduced to a fellow blogger and within seconds of visiting her blog, I know we're kindred spirits. That's pretty much the case with Ali Bronska from A Dash of Details. 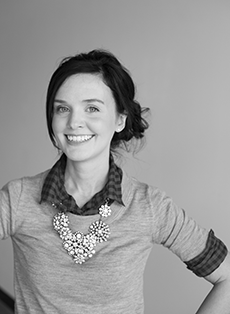 She recently redesigned her blog, and I'm obsessed with its simplicity and clean lines. Hop on over and take a gander. I know you'll adore it! Ali's got an eye for style and her blog is a constant source of inspiration to me and countless others. I guess that sounds like the perfect reason to have her over at One Fine Day for a little Need Read Greed action. Take a peek at her picks. They're delightful! 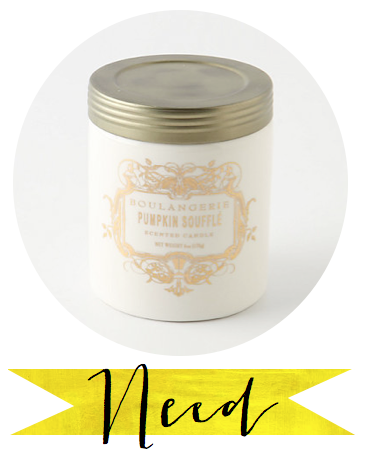 Need: This delicious pumpkin-spice scented candle from Anthropologie. Not only does it fill the house with a perfect fall scent, it also looks darling in any room. 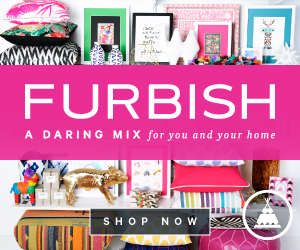 Read: Since we just signed on our first house, I am totally engrossed in interior design books. 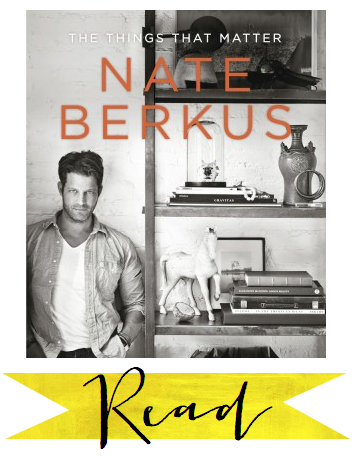 Nate Berkus is the king of building a home, not just a house. This book is a must-have for any new home owners. 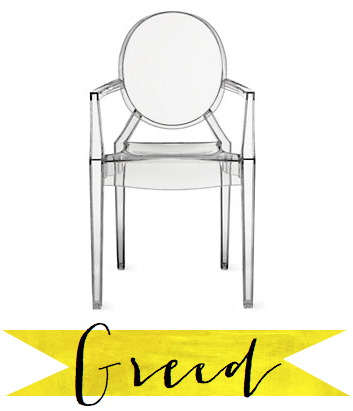 Greed: To go along with the interior theme, I am lusting over these fabulous Louis Ghost Chairs from Design Within Reach. They are the perfect seating option to give a modern touch to a traditional room. Thanks for the serene escape, Ali! I can already picture myself nose-deep in Nate's book, seated in a Louis Ghost Chair, with an Illume candle lit. Ahh! Thanks for having me! It was so fun!